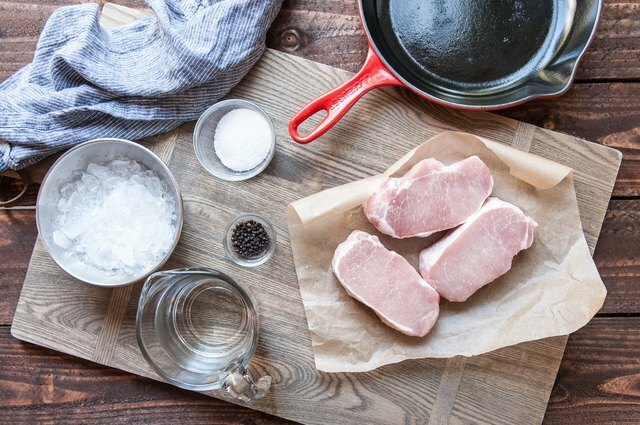 Pork chops are the best example of how important cooking techniques are. 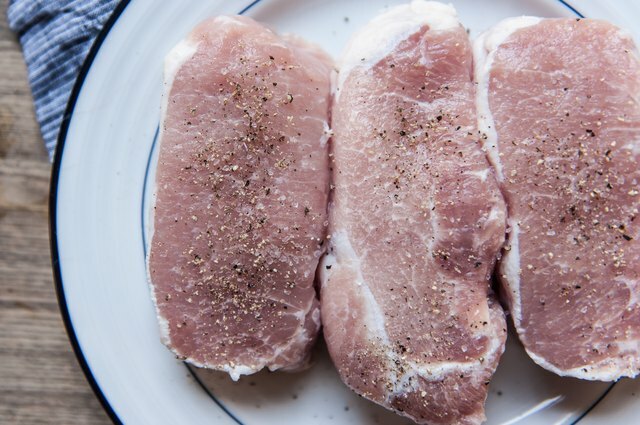 Sure, you can run all over town and pay too much for the best quality, freshest pork chops money can buy, but if you don't know what to do with them you'll end up with a dinner plate full of dry meat. Brine is your first weapon in the arsenal against dryness. A good brine, even just for an hour, will infuse the meat with the moisture it will need to stand up to a hot pan. 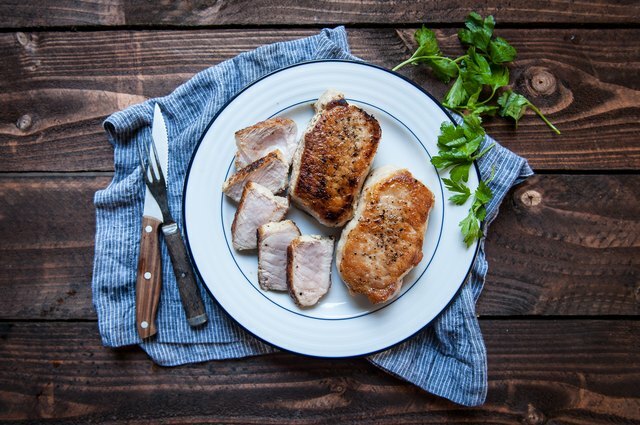 Your next secret weapon is to cover the chops towards the end of cooking. This will create an oven-type environment that will cook the meat from all sides. Lastly, keep it simple. Salt, pepper and olive oil will bring out the beautiful natural flavors. And if you need a little pizzazz, just add some hot mustard or some gorgeous cherry chutney. Bone in, or boneless, it's your call! This method will work on either. Look for a thicker chop for best results. If the chop is much more or less than 1 inch thick, cooking time will need to be adjusted: less time for thinner, more time for thicker. 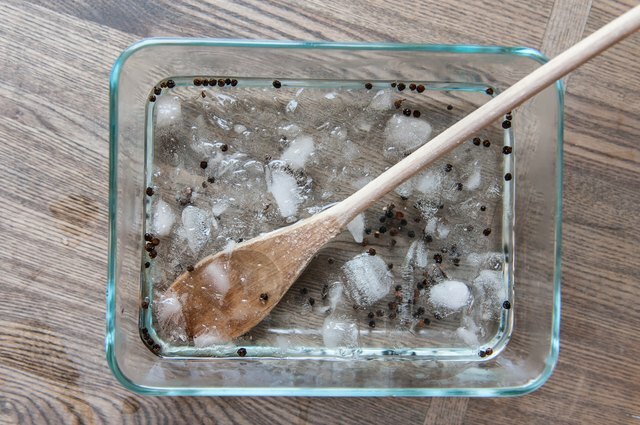 Add the hot water, 3 tablespoons salt, and peppercorns to a bowl or baking dish, and stir until the salt has dissolved. 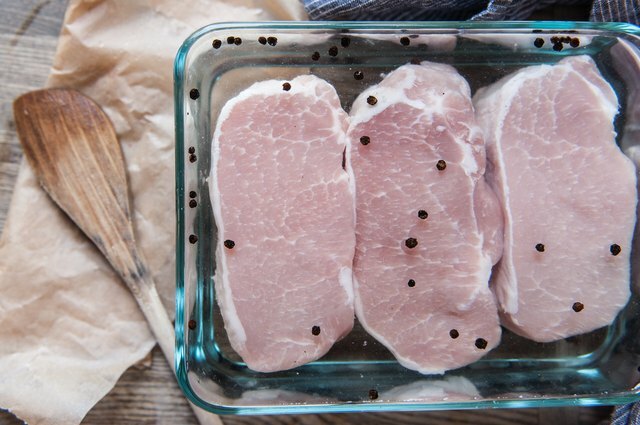 Add the pork chops, cover and refrigerate for 1 hour and up to 6 hours. 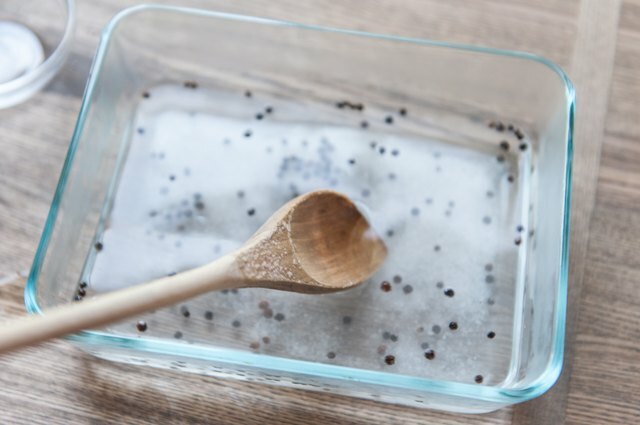 Sprinkle with salt and pepper on both sides. Allow to sit at room temperate for 30 minutes to bring the chops up to room temperate. 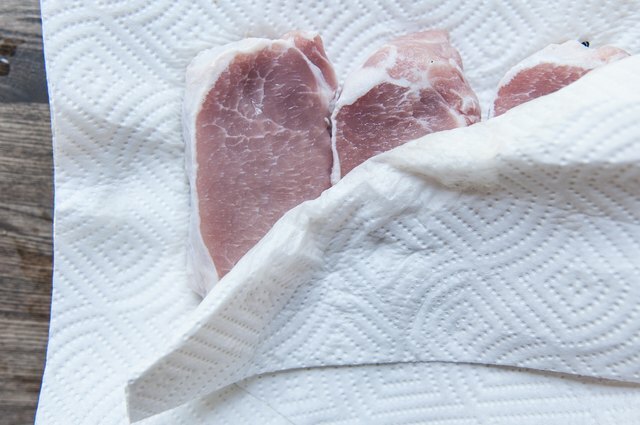 This will help to cook more evenly than cold pork chops. 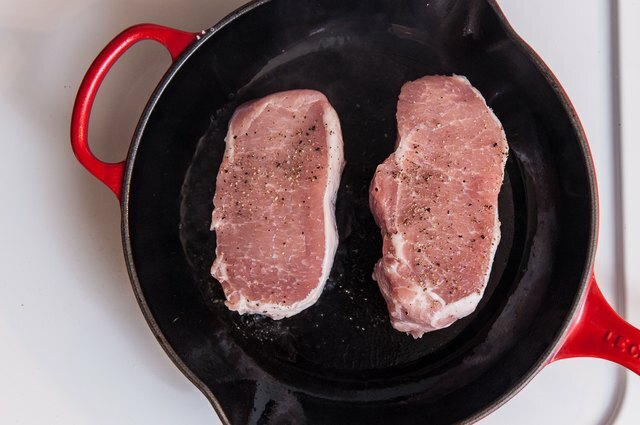 Heat the olive oil in a cast iron skillet over medium high heat. Add the pork chops and cook for 4 minutes. 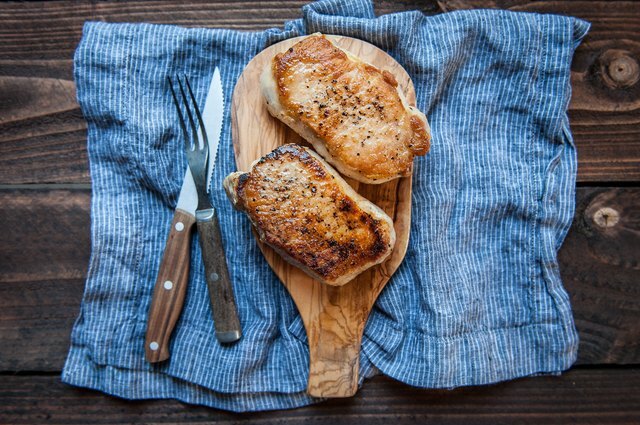 Flip the pork chops, and sear for two minutes. 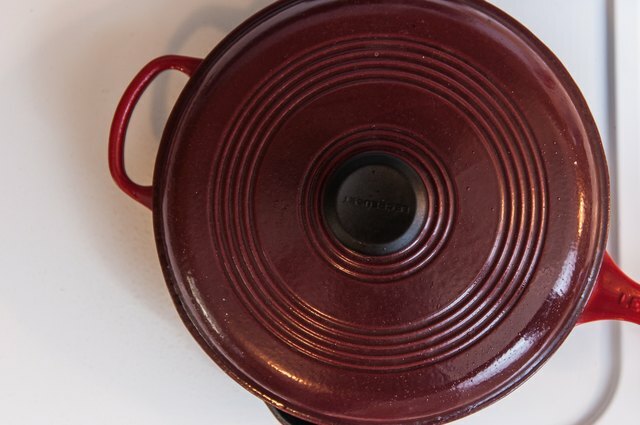 Cover with a pot lid, cook for 4 minutes or until the center of the chops reads 145 degrees Fahrenheit on a cooking thermometer. Allow to rest for 5 minutes prior to cutting. 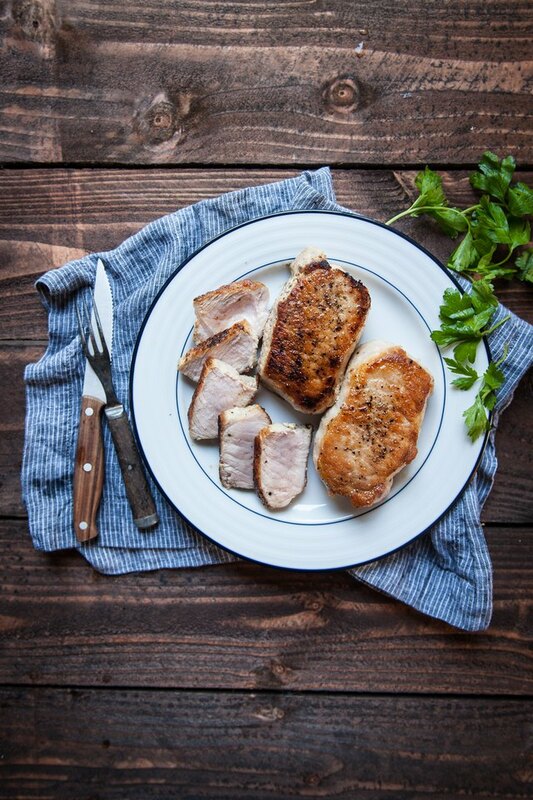 Chops should be juicy and have a very slight hint of pink in the center.